Every year, our design team sees an influx of ‘trending’ architectural selections by our homeowners. Looking back at 2018, we saw an increase of modern style, a consciousness of bringing the outside in with window placements and individuality in selections. This is what we project to see more and less of in 2019. Compartmentalized floor plans– Clients are moving further away from structured, defined rooms and are embracing open concepts. 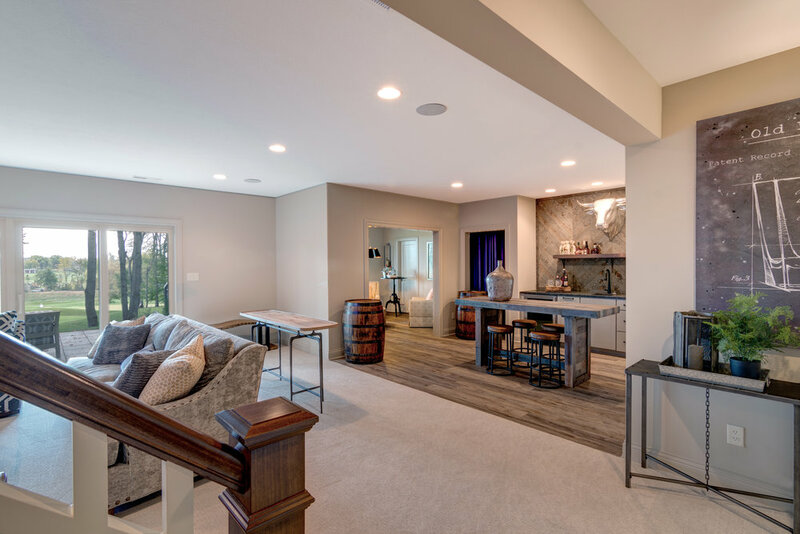 By embracing a more open concept floor plan, homeowners are saying goodbye to the ‘formal’ dining room that so many are accustomed to in lieu of a seamless space for entertaining guests. Room ‘spaces’ are defined now by a change in flooring, lighting or furniture pieces. Heavy use of artificial light– While a homeowner can never get rid of all of their lightbulbs, there has been an increase in the use of natural light. Whether it’s ensuring the proper solar orientation of your home office or installing larger windows, take advantage of what is freely given by the sun. Tudor-style exteriors– Without a doubt, Tudor style ruled the early 20th century with its romantic storybook charm. With complex roof lines, mixed material exteriors and decorative half-timbering, these homes are full of character. However, the old-world feel of Tudor homes is being overshadowed by the insurgence of more contemporary styles. Contemporary style homes are built with the style of “now” in mind; these homes boast large windows, symmetrical lines and brighter appearances often featured with accent of masonry. Focused on Lifestyle needs– Amenities are more important than ever for homeowners. We’ve seen an increase in ‘age-in-place’ homes near lifestyle needs like the Monon Trail or with access to highways for those who travel to work. Rather than looking for the ‘hot spot’ in town to build a new home, clients are taking time to find the perfect community to fit their needs now and in the future. 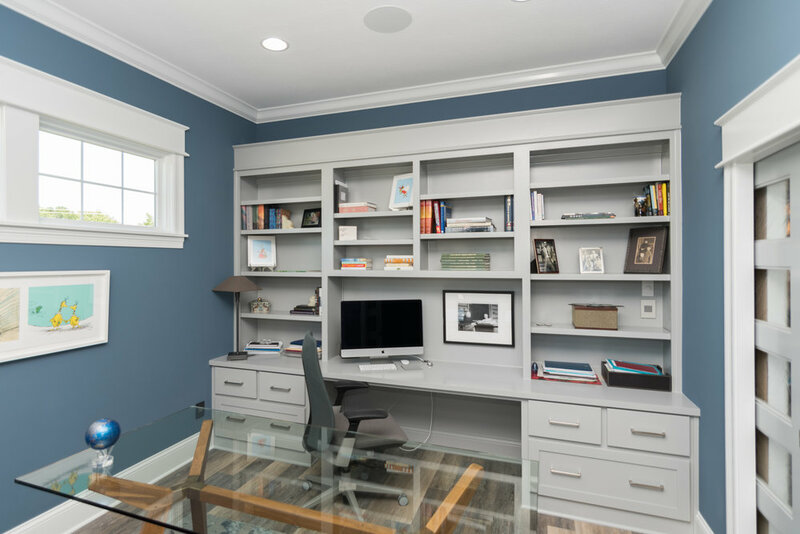 Multi-purpose rooms and home offices– As careers are increasingly worked remotely or for those who own their own businesses, the importance of having a dedicated office space that is separate from the rest of the house has grown. Multi-purpose rooms are planned in homes to allow for changing interests with the future in mind. While right now it may be a play room for children, as they grow it could be transformed into an at home movie theater or even an extra guest bedroom for in-laws. Convenient laundry rooms– Traditionally, laundry rooms were banished to the garage or basement due to loud washing machines and dryers. When factory and farm jobs ruled the working class, the importance of having the laundry room in a remote place helped for shedding dirt and oil stained clothes before going into the home. As the job market has changed over the decades, the laundry room has changed as well. Now a space with more features (extra storage, utility sinks, etc), the laundry room is more about convenience. The placement is now closer to bedrooms, the places where a majority of the laundry comes from, even if those room are on the second level of a home. At Old Town Design Group, we understand that each homeowner has their own individual style and we work tirelessly to ensure that your home is exactly the way you picture it. While trends may come and go, your style is uniquely yours. Architectural design challenges are something that we look forward to with each build to continue growing and learning as a company.